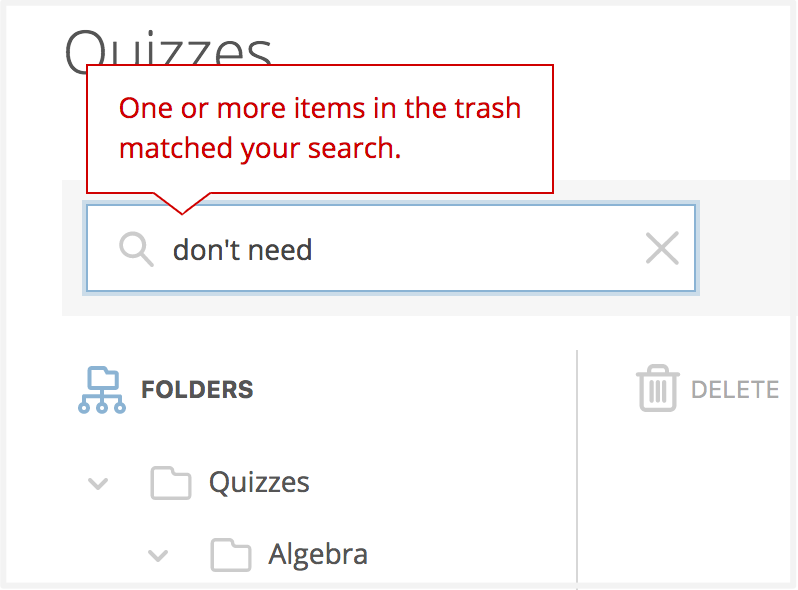 Quizzes and Folders can be located via Searching. 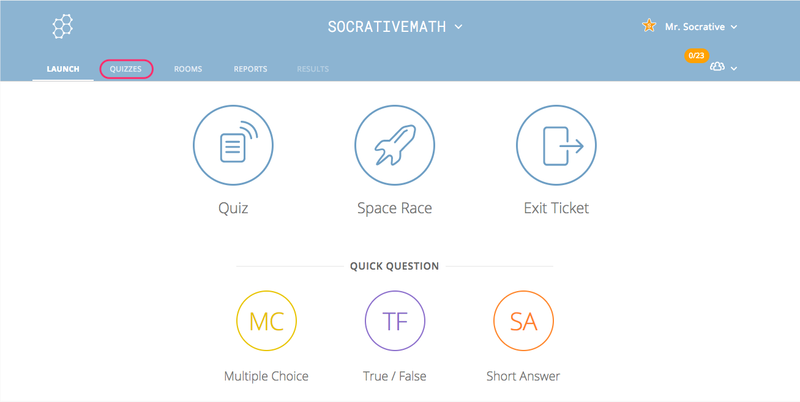 Enter the quiz or folder name in the Search Bar. You can search for the full name or a partial name. 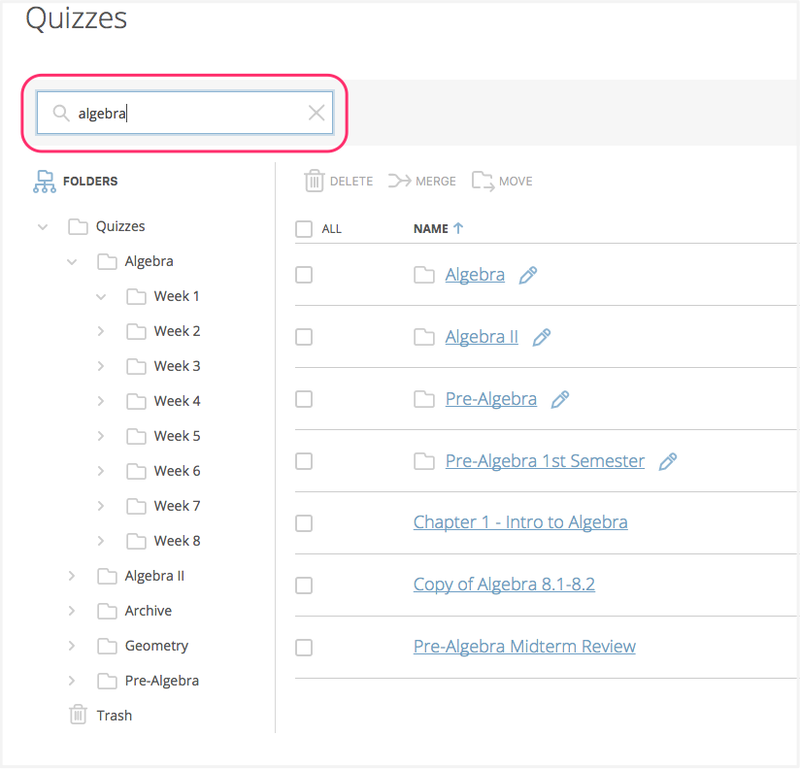 Any folders or quizzes with names that contain text matching the search text will be displayed in the main view. If an item matches the search text, but is in the trash, it will not be displayed in the main view. In this case, a tooltip will be displayed above the search bar.